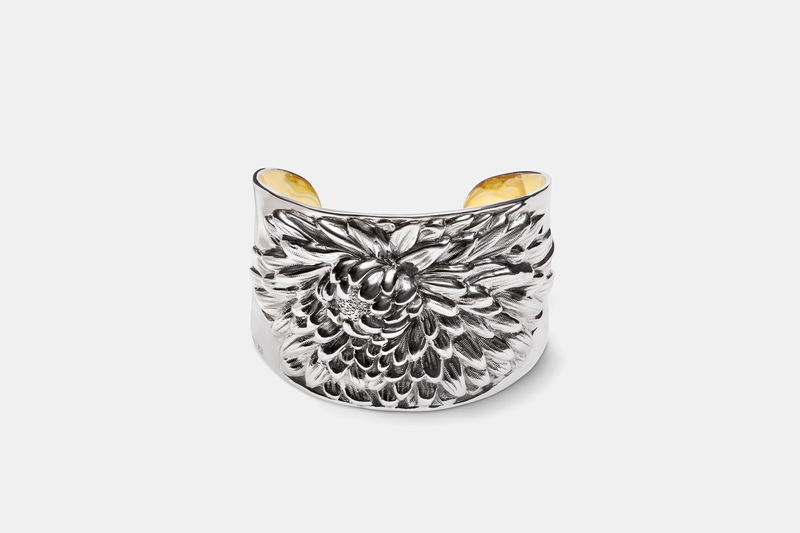 N ew Jersey’s Newark Museum holds extensive collections of American, Decorative and World Art and honored the retirement of its top silver curator Ulysses G. Dietz, who chose chose the “Hops Blossom Goblet” and “Sunflower Cuff Bracelet” as his farewell addition. 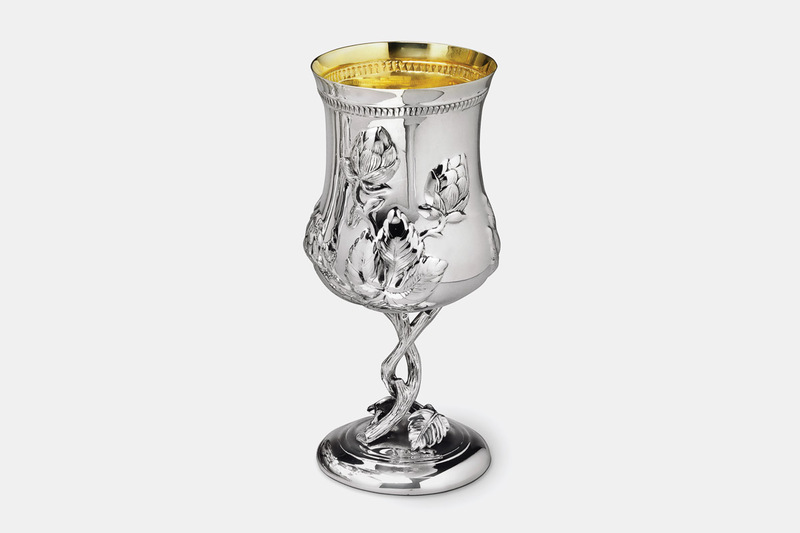 He did so because of Galmer’s important role in America’s silver-making history; the two pieces feature the artist’s trademark technique and are highly representative of his inexhaustible inspiration from flora and fauna. Sterling silver and 24K gold plating. Galmer gained experience as a silversmith in the early 1980’s under the employment of Tiffany & Co., Lenox and Kirk Stieff reproducing The NFL Super Bowl Trophy between 1995-2002, as well as The Preakness Woodlawn Vase for the Triple Crown and the USS Oklahoma Battleship punch bowl. His original fashion and art sculptures that followed are an evolution in silver making and have earned the artist the enviable description as one of the best contemporary silversmiths in America.